They say everything is bigger in Texas, and it’s certainly true at The Galleria. 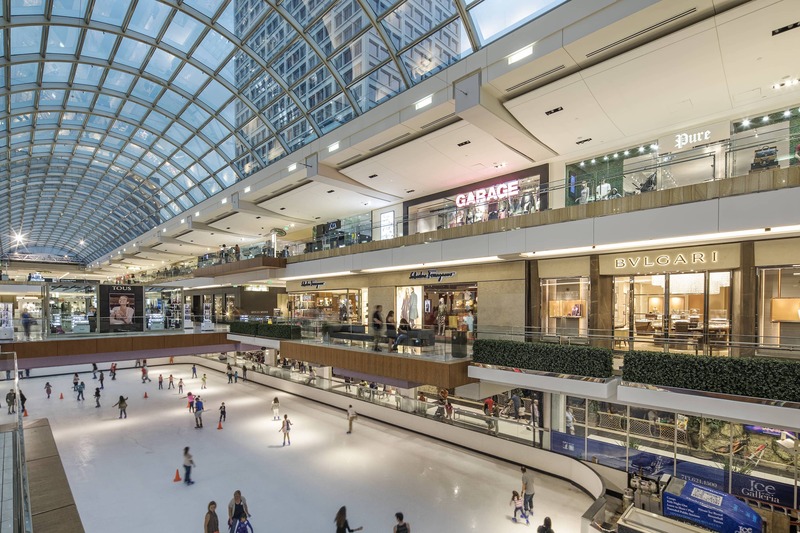 This 2.4 million-square-foot centre is the largest shopping destination in Texas, boasting two high-rise hotels, a host of family attractions and an astounding 400 shops and eateries. 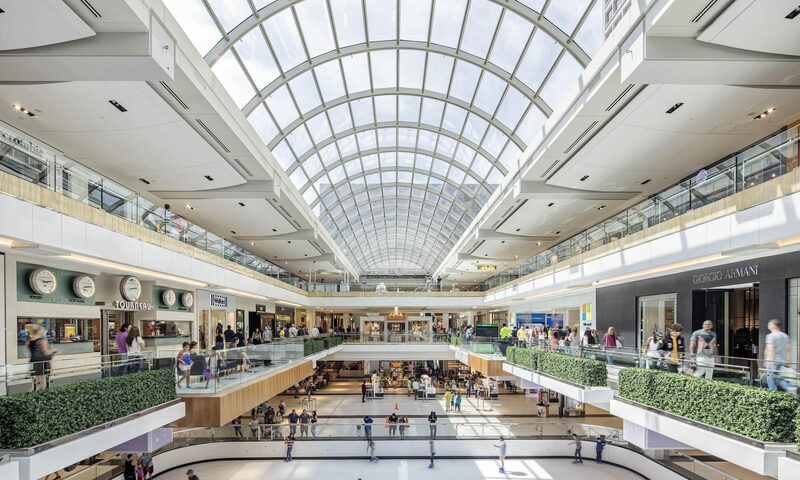 Nestled at the heart of well-heeled Uptown Houston, The Galleria is just 20 minutes from downtown Houston and 25 minutes from George Bush Intercontinental Airport/Houston Airport. Modelled after the Galleria Vittorio Emanuele in Milan, this exquisite centre houses a staggering array of department stores, discount retailers, specialty shops and luxury designer labels. Some of the elite retailers at The Galleria include Neiman Marcus, Tiffany & Co., Yves Saint Laurent, Ralph Lauren, Valentino, La Perla, Tod’s, Apple and Zara – and that’s barely scratching the surface. The highlight of this outstanding shopping experience? It’s all tax-free for our international shoppers (enquire at Simon® Guest Services for more information). For food as fabulous as the shopping, you never need to step foot outside the centre. The Galleria boasts more than 50 restaurants, ranging from white-tablecloth fine dining to grab-and-go favourites. Bring a cowboy-sized appetite to sit-down restaurants like Del Frisco’s Double Eagle Steakhouse, 51fifteen Cuisine & Cocktails, Peli Peli, The Oceanaire Seafood Room, Mariposa at Neiman Marcus and Yauatcha. More casual options include Chili’s and The Cheesecake Factory. Order at the counter at dozens of restaurants offering a large spectrum of American and global cuisine, including Chipotle, China Max, Potbelly Sandwiches, SushiGami and Shake Shack. At The Galleria, shopping is only the beginning. Lace up your skates for year-round fun at ICE, the centre’s in-house ice-skating rink. Kids will also find hours of entertainment at the state-of-the-art children’s play area and onsite aquarium. Services abound at The Galleria, too, with two tailor shops, a post office and more than seven beauty salons. Steps from the centre, breathtaking Gerald D. Hines Waterwall Park is perfect for a picnic and photo op. And an easy drive brings you to Houston’s top cultural offerings, professional sports and gorgeous Gulf Coast beaches for a leisurely day in the Texas sun. If you’re planning to shop till you drop at The Galleria, there are two exceptional hotels located on the premises. The Westin Galleria and The Westin Oaks Hotel both adjoin the centre, boasting upscale amenities, swimming pools and Westin’s trademark Heavenly® Bed to soothe you after a long shopping day. Ask your hotel concierge for a voucher to receive The Galleria’s Savings Passport, which is filled with exclusive store offers and is redeemable at Simon Guest Services. Well located but within reach, The Galleria attracts scores of fashionistas from across the Lone Star State. Most of our guests arrive by car, and the centre provides plenty of free parking. For a fee, relax and let our valets do the parking for you. Take Interstate 45 (I-45) North from Broadway Street to I-69/US-59 South. Take the exit toward I-610 North. Exit #8C FM 1093/Westheimer Road and turn left onto Westheimer Road. The Galleria is accessible from several METRO bus routes. Stores at The Galleria accept most major credit and debit cards, but there is a cash point machine located on level two near Gap/Gap Kids for your convenience. For our international shoppers, The Galleria offers a currency exchange station, located in the food court near the entrance of ICE, the centre’s ice-skating rink. There are also three full-service national and international banks inside the mall.